Durant breaks out the KD 9 at Oracle Arena. 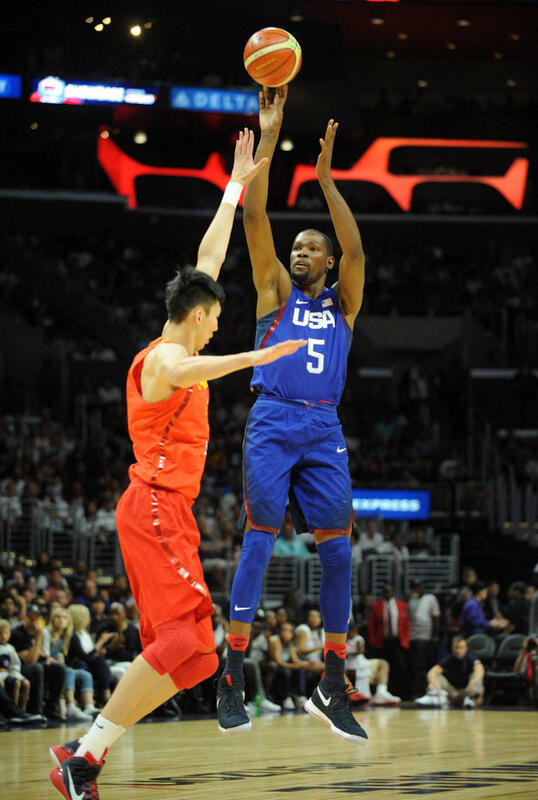 Kevin Durant donned another patriotic colorway of his KD 9 on Tuesday night, wearing the navy-based one seen here during an Olympic exhibition game between the USAB squad and China's national team. 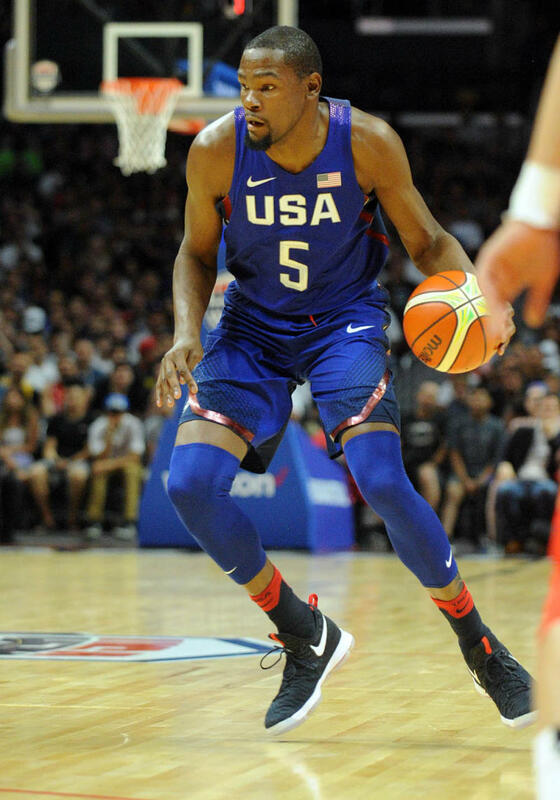 Before this, Durant has mostly been spotted in the white "USA" KD 9, a sneaker that released back in June, for Olympic activities. It's unclear if the navy pair pictured will ever be available at retail. 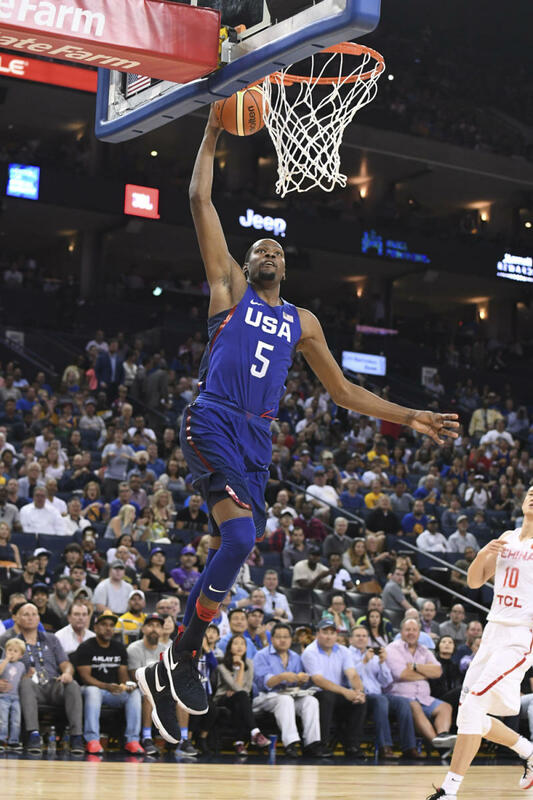 The exhibition game, held at Oracle Arena in the Bay Area, was a welcoming of sorts for Durant, who will play there with the Golden State Warriors this coming NBA season. 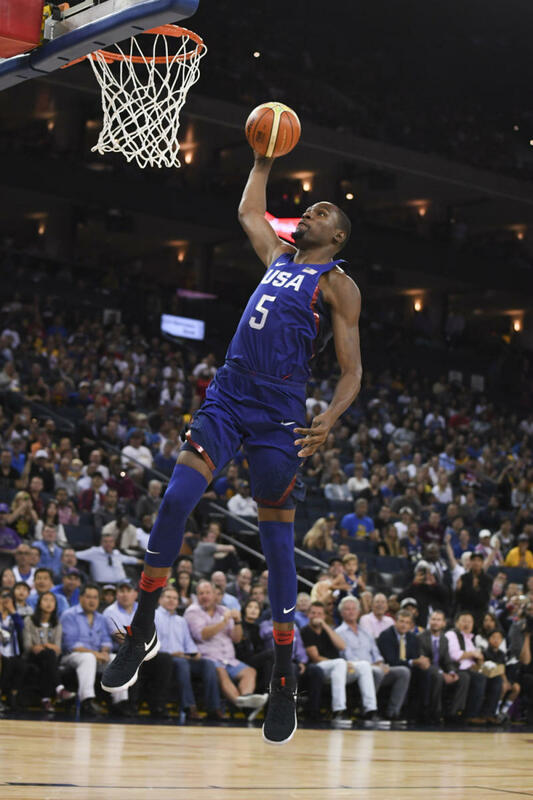 In what shouldn't come as a surprise, Team USA walked away victorious, beating China 107-57.